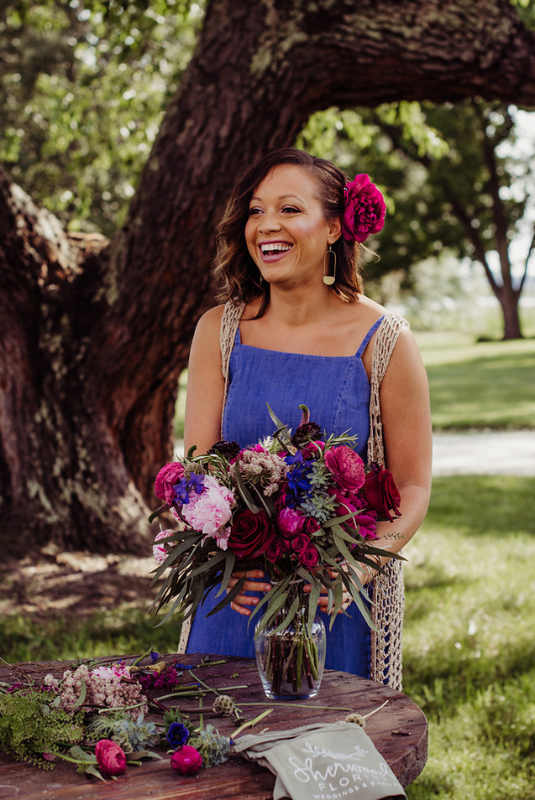 Founded by Ashley Sherwood, Sherwood Florist is located on Maryland's Eastern Shore and provides custom florals for weddings & events. ​Ashley Sherwood found her passion for flowers in high school when she began working with a local florist. Following her dream, Ashley started a business of her own in 2013. Ashley's talent is unmatched as she is able to create classic, modern, and custom looks. Although her favorite style is bohemian and "wispy", she is able to design whatever you desire, by taking your ideas and bringing them to life. Staying up to date with the latest floral trends is very important to Ashley, in her free time you can find her pinning and researching what is new and changing with the seasons. Sherwood Florist has a wonderful team who will stop at nothing to assist in making your floral dreams come true. We would love to help make your big day absolutely perfect. ​Feel free to reach out to us via email or clicking on contact and filling out our form!